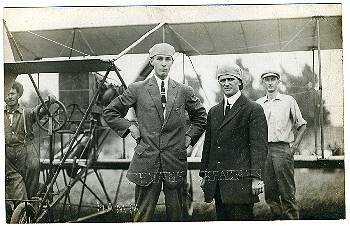 JACK343-Evans and Beachey. Their names etched under their photos. Also,Yamm? Anyway, a nice, crisp photo. 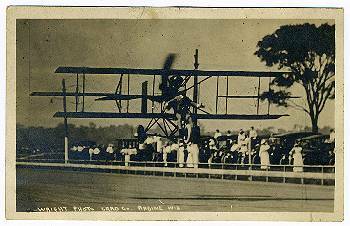 JACK344-Beachey at Racine, Wis. Photo by Wright Photo Card Company. JACK345-Beachey at M.W.A. 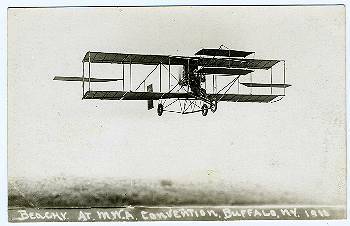 convention in Buffalo, NY, 1911. JACK346-A different view of Beachey at same convention in Buffalo. See above. JACK347-This is a photo of Beachey. Message is on back by sender. 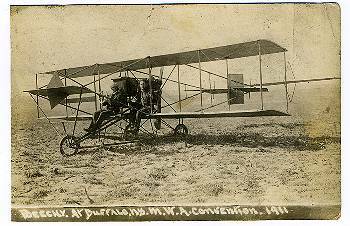 CANCEL: Williamsport, PA, Jul 15, 1911. JACK348-Lincoln Beachey, Post Winner, and Miss. 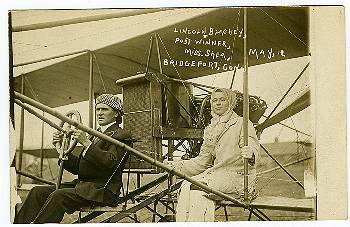 Shea, Bridgeport, Con, May 12. Photo stamped on back by M. P Studio in Bridgeport. 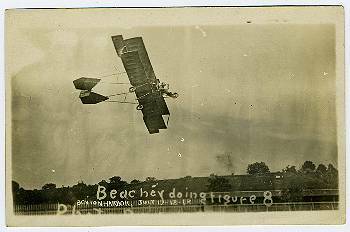 JACK349-Beachey doing a figure-eight in Benton Harbor, July 17, 18, 1912. 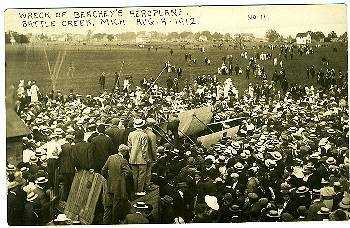 JACK350-Mrs. Beachey in biplane in Benton Harbor. Same date as above. 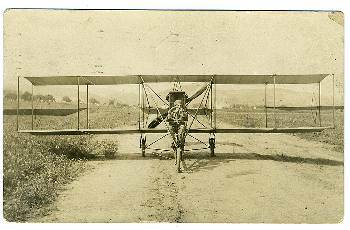 JACK351-Curtiss biplane ready for flight.These Benton Harbor photos are unmarked, but of similar quality. All have the same handwriting on front and Noko stamp box. 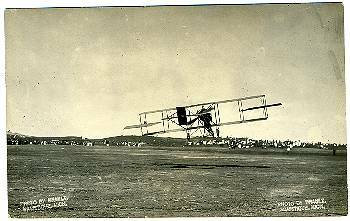 JACK352-"Final test before flight." Benton Harbor, as above. 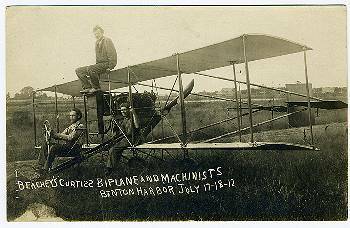 JACK353-Lincoln Beachey and his two machinists at Benton Harbor. A good close-up. Same dates as above. 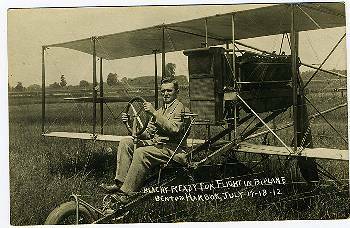 JACK354-A super close-up of Beachey in his airplane ready for flight. As above. 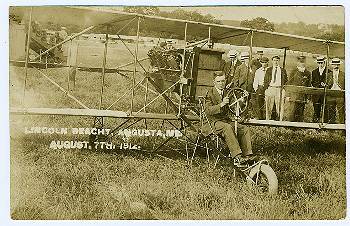 JACK355-Lincoln Beachey and his plane in Augusta, Me. 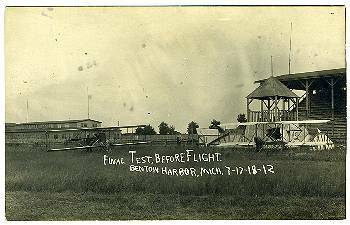 August 7, 1912. JACK356-Beachey in flight. 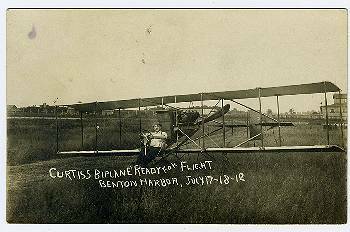 Photo by Brault of Manistique, Michigan. 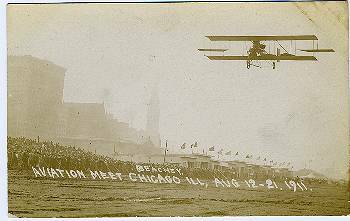 JACK358-Beachey flying at Chicago Aviation Meet, Aug. 12 -21, 1911. 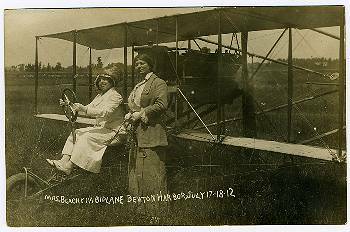 Real photos of Chicago are much rarer than the printed ones. 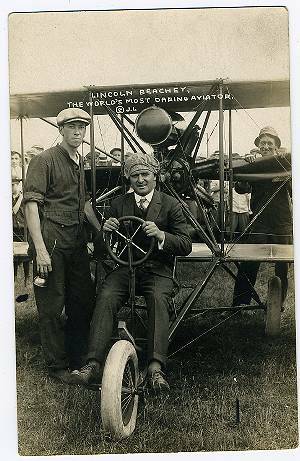 JACK359-Lincoln Beachey, Aug, 1911, World Altitude Record 11,642 ft. Chicago. 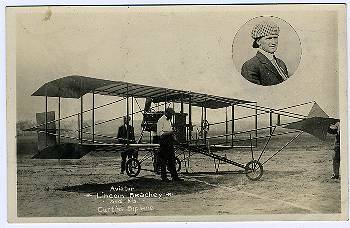 JACK360-A close-up view of Lincoln Beachey in flight. 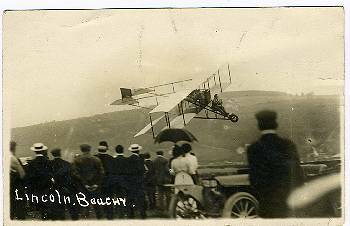 CANCEL: Bath, NY, Sept. 5, 1912. 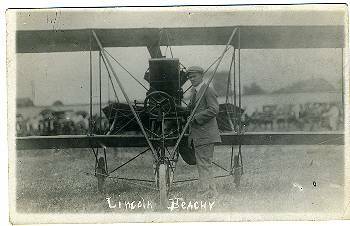 JACK361-Lincoln Beachey by his plane. 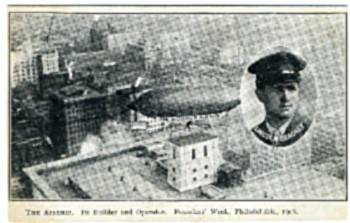 JACK362-Lincoln Beachey is identified as flyer of "The Inquirer Airship" for the Philadelphia Founders' Week, 1908. Original is printed but does not break up into little squares as the scan does. 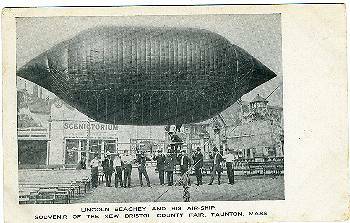 JACK363-Lincoln Beachey and his airship printed as a souvenir of the New Bristol County Fair at Tauton, Mass. The Original is much better than scan. 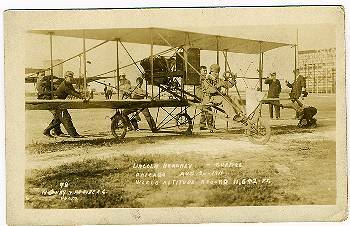 JACK364-An INBODY photo of Beachey, "The World's Most Daring Aviator." JACK365-Not a postcard. Plain back. Photo of Beachey. JACK366-Inset picture of Beachey. 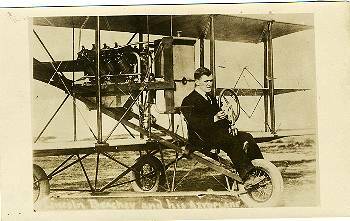 Below another view of Beachey and his Curtiss Biplane.